After relishing breakfast, leave for sightseeing in Perth. Visit Fremantle to get a sneak-peek into the casual lifestyle of the locals. Today, you get a chance to explore the prime attractions of Perth including King Park Botanical Gardens. Enjoy a leisure walk here through the tree canopies on the Tree Top Walk. Later, have a scenic drive past off the Cottesloe Beach. Night stay in Perth. On day 3, have your breakfast, and then explore the very well-known Nambung National Park to enjoy a great view of the Pinnacles Desert, home to exotic limestone spires. Enjoy a drive over the sand dunes here and interact with the wildlife, take pictures of the cute koalas. You can also try your hand at sand-boarding. Thereafter, you can visit a wildflower shop or enjoy swimming (Subject to weather condition). Stay overnight in Perth. Once you have your breakfast, proceed to the airport to catch a flight to Ayers Rock. After arriving, check-in at your pre-booked hotel. 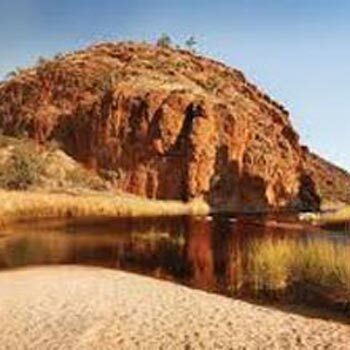 Later, enjoy a tour to the Uluru-Kata Tjuta National Park to visit the Cultural Centre, take a stroll to the waterhole of Mutitjulu. Thereafter, have a guided tour of MalaWalk. You can also visit the traditional art sites to learn the geology and flora of the region. During sunset enjoy a complimentary glass of wine at Uluru. Relish open-air dinner under the stars, accompanied with champagne with the sound of the didgeridoo filling the air. Have a great view of the Kata Tjuta (the Olgas) and Uluru (Ayers Rock). Overnight stay at Ayers Rock. Get up early today to have a great view of the sunrise at Uluru. Post tea/coffee, enjoy the enchanting sight. After breakfast, proceed to the western area of Uluru-Kata Tjuta National Park where you arrive at the gigantic 36 -rock domes of Kata Tjuta. Have a guided walk into Walpa (Olga) Gorge and admire the beauty sprinkled all around. In the afternoon, proceed to the stunning Kings Canyon in the Watarrka National Park. Overnight stay in Kings Canyon. 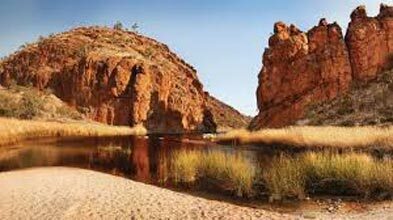 Post breakfast, you get a chance to explore Alice Springs –once-in-a-lifetime experience. This place is most popular outback town of the world. Here you can have an insight into the region’s history and wildlife too. This place is the spiritual heart of Australia’s Red Centre Overnight stay in Alice Springs.